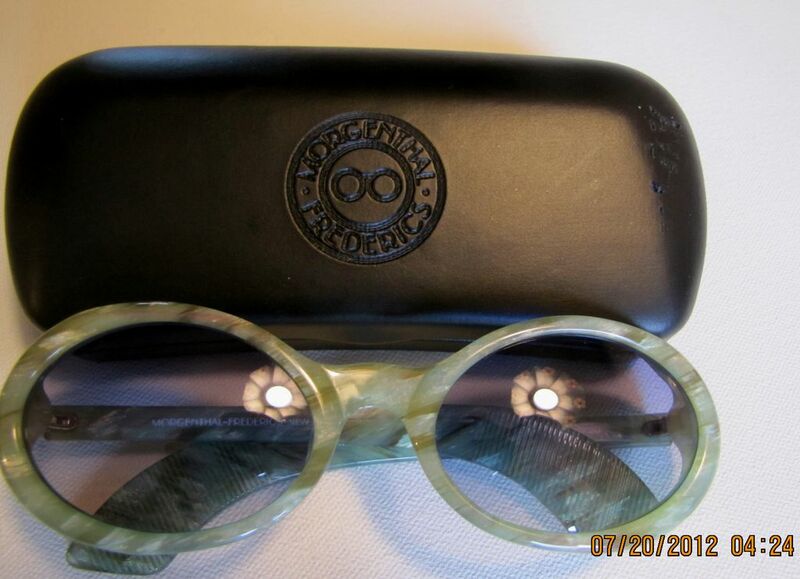 Vintage Pair of Morgenthal Frederic's New York sunglasses with original black leather case. 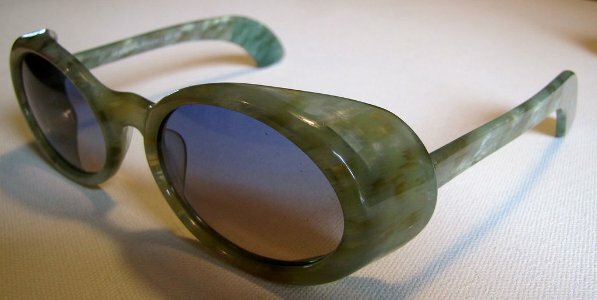 The sunglasses are a beautiful tortoise, multi-color with primarily green with various colors of pink, browns, copper, whites, blues, etc. The lenses are a gradient blue. They are marked on one arm reading Morgenthal-Frederic's New York with the other arm reading CE Hand Made France 56 D 21 Bruno 3661. 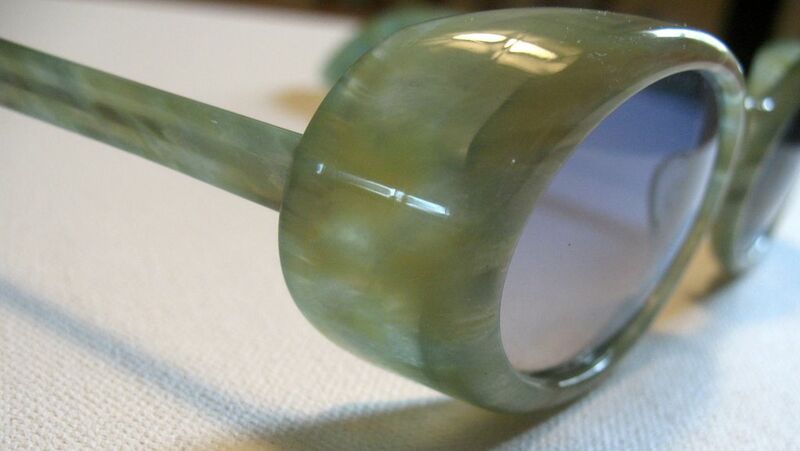 They measure 6" across front bridge area, with the arms measuring 6" from lens to end of arm and the lenses are 1 1/2" by 2 1/8" wide, but, because of how they are made, you would have to include the tortoise area of the frames to add another 1/2" to this measurement. The black case has some small, what appears to be possibly bite marks on it (see photo). The sunglasses are in very good condition. Certainly a beautiful, well made, pair of sunglasses.